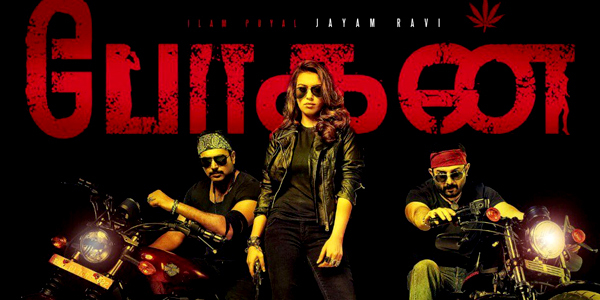 Director Lakshmanan, actor Jayam Ravi and actress Hansika after delivering super hit romantic comedy 'Romeo Juliet' in 2015 have teamed up again for a new film titled as 'Bogan'. This film will also have Arvind Swami in a important role. Jayam Ravi plays a police officer in this film. Hansika plays his love interest. Akshara Gowda of 'Arrambam' fame plays a female cop. Arvind Swamy plays a fantasy oriented role. Lakshman revealed in an interview that both Jayam Ravi and Arvind Swami play the hero as well as villain in the film. But their roles will bring out two different characteristics. Speaking about the genre of the film Lakshman said "Bogan will be entirely different from my debut flick 'Romeo Juliet'. While the former was a romantic comedy, this will be a nail-biting action thriller. But 'Bogan' will also have the undercurrent of humour." The supporting cast of the film includes VTV Ganesh, Aadukalam Naren, Ashwin, Nagendra Prasad. Sources reveal that the film involves 'body-swapping' concept but this has not been officially confirmed. 'Bogan' is being produced by Prabhu Deva and Dr.K. Ganesh under the Prabhu Deva Studios banner. D.Imman is working on the musical score while Thamarai, Madhan Karky and Rokesh have penned the songs. Soundarajan has handled the cinematography. Antony is taking care of Editing. Stunt choreography is by Dhilip Subbarayan while Raju Sundaram, Brindha and Sherif choreograph the dance steps for songs. 'Bogan' had its audio release in the first week of December 2016 and the songs by D.Imman have already created a huge buzz about the film Arvind Swamy has crooned a song in the film. The film has acquired a U certificate from Censor Board Officials. 'Bogan' will be hitting the screens on February 2, 2017.